Itching after an insect bite can be really painful and irritating. 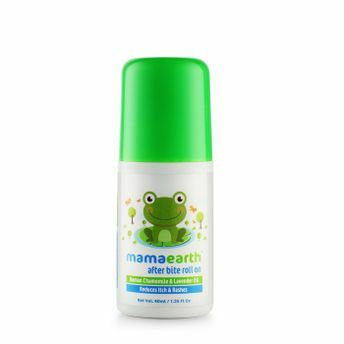 Mamaearth's After Bite roll On for Rashes and Mosquito Bites is prepared from a 100% natural blend of essential oils targeted at stings and insect bites. This easy to use roll on provides relief from after bite itching. Free from ammonia, alcohol, preservatives, mineral oils or chemicals, its anti-inflammatory properties makes it a safe choice for your baby's sensitive skin.